Our spacious rooms are bright and airy, with natural light illuminating the interiors. 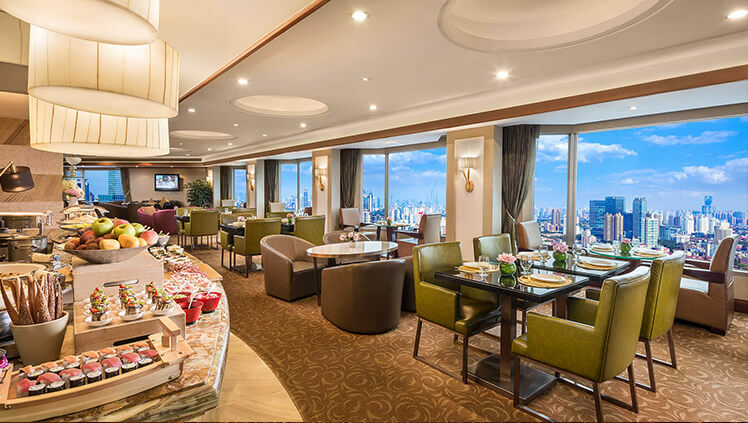 Enjoy the sweeping views of the surrounding cityscape or nearby Jing An Temple, while the view within affords you all the privacy, tranquillity and comfort you would expect from an international business hotel. 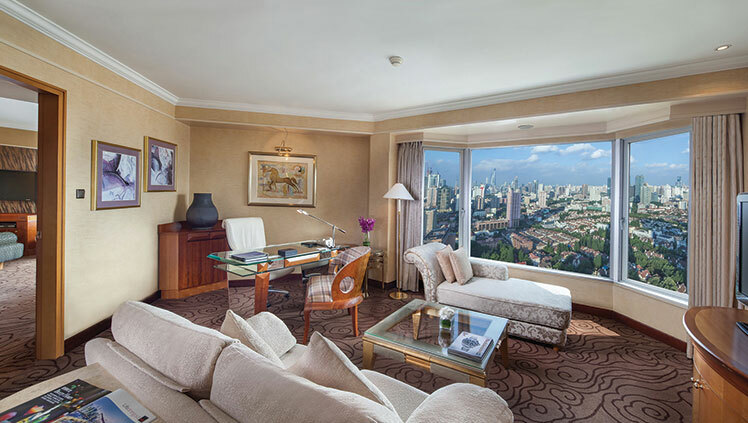 Guests can enjoy the comfort of our deluxe rooms which enjoy good natural lighting and views of the city. Complete with high speed wifi and working area for business travelers. All rooms include new 49 inch digital signal TV. Grand Deluxe Rooms are located on 13th to the 25th floors. 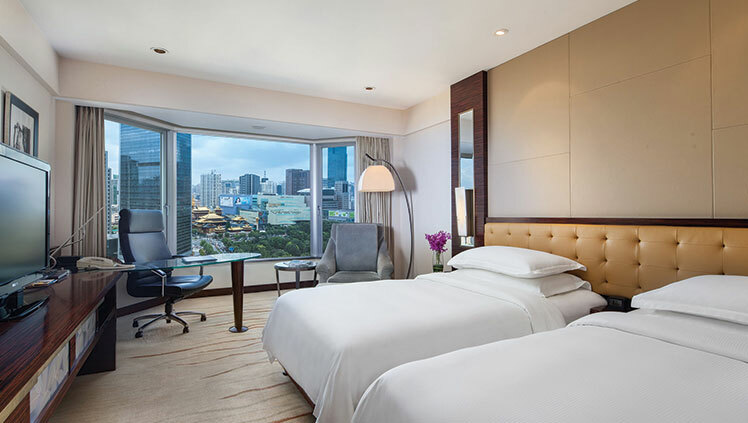 Guests can enjoy the comfort of our grand deluxe rooms which enjoy good natural lighting and views of the city. Complete with high speed wifi and a working area for business travelers. All rooms include new 49 inch digital signal TV. Stunning city views can be enjoyed with extra-large windows with natural light, separate seating area with sofa for relaxation, new 49 inch digital signal TV and desk area including high speed wifi, and a stunning marble bathroom.